I first learned about OBDII back in 2003. It’s the on board diagnostics system in your car that lets you get all kinds of live data while your car is running. I bought all the electronics to make my own reader and then… nothing. Eventually in 2008 I realized that I was never going to build it and bought a ScanGauge. I happily used that little device in my Subaru and later in my F150. It worked flawlessly, but now it’s sitting in the garage because I got an upgrade. For my birthday, Tyla and Elijah gave me an Automatic. It’s an OBDII reader with a built in GPS and 3g modem. While you drive, it automatically records a bunch of you car data along with your current position and it uploads it all to their cloud service. You can also connect to the device via Bluetooth to get live data displayed on your phone. Setup was a breeze and so far it has worked flawlessly. 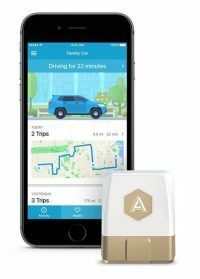 I think the target audience for the device is someone who drives for business and needs an easy way to track their business trips. You can easily flag a drive and it gets added to a report. Personally I’m more interested in downloading my data and doing my own analysis on it. There are some nifty apps that work right out of the box as well. For example, one app shows you your min, max and average commute times to and from work. Another builds a heat map of the places you have visited. Another one draws one of those maps where every county that you have visited is colored in. Do I need this? Nope! But I love having gadgets that collect data about random stuff in my life so this fits right in. Time to crack open their API and see how to pull my data out of their cloud.